Please email: support@wannalight.com with any questions or comments. 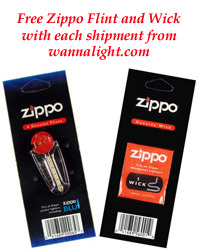 WannaLight.com offers the entire line of Zippo lighters. We have been in business for over 10 years. We have all of the standard style Zippo lighters along with the largest selection of DISCONTINUED and CUSTOM design Zippos anywhere in the world. Currently we have over 1700 different Zippo styles! We pride ourselves on shipping same/next day. 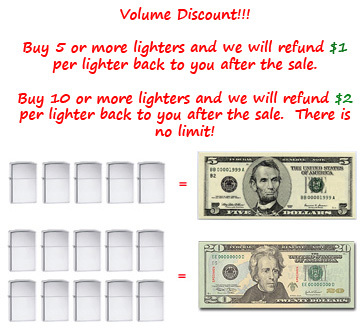 You will not get your lighter cheaper or faster anywhere else! 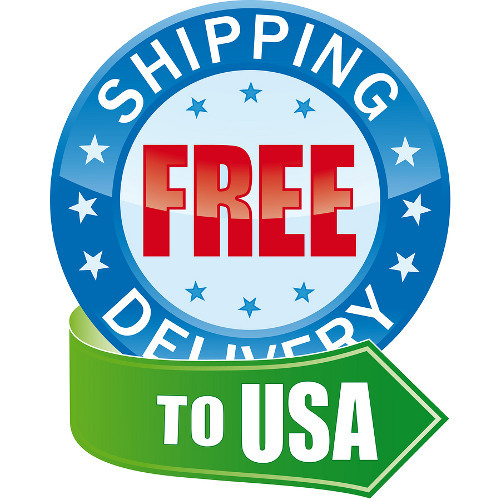 Please note our shipping rates are very reasonable and you do save on shipping when purchasing multiple items.